We all know how irritating it can be to lose something we need. Whether we lose something simple such as a pair of nail clippers or misplace the correct size wrench to fix an immediate automobile problem, when something becomes lost or misplaced it results in a loss of productivity. Instead of using the item to meet its intended purpose, we are scrambling around searching for the item causing a loss in valuable time that could be spent doing other, potentially more important activities. The U.S. Marine Corps understands the value of lost production time and has implemented a specific tool control program to help counteract the occurrence of lost tools(tool control program). The U.S. Marine Corps utilize the help of many tools to service varying levels of Navy aircraft, in fact there are more than 100 different service maintenance requirements and each service procedure requires its own set of tools. The sheer amount of tools needed to service the differing Navy aircrafts is mind boggling. However, it order to keep tools organized and easily accessible when needed, a specific tool control program was enacted. The program basically involves the usage of customized tool boxes that contain specific tools. The intent is that each tool has a specific location within a certain toolbox, which allows for a quick inventory check to verify that all tools are present when a maintenance requirement is conducted. Then, once the tools have been used, they are placed back into the correct toolbox and into their exact location for the ease of future use. Most of the toolboxes utilize customized cut foam to safely and efficiently cradle the tools. The goal is to make sure all tools are properly put away when not in use and easily found when needed. Since implementing the tool control program, there has been a significant amount of savings in time, space, and money within the maintenance department of Navy aircraft. 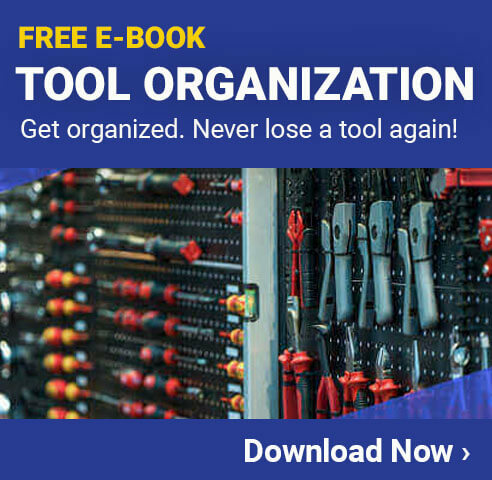 Effective tool organization doesn’t only have to be for the U.S. Marine Corps, in fact it is a fairly simple and efficient tactic to incorporate in any work environment that has struggled with the misplacement of tools. Many industrial facilities, as well auto shops and other types of repair workshops have successfully implemented the use of foam custom tools kits to assist with tool control. One of the great things about foam toolkits is that they allow for total tool customization. The tools are simply traced, the foam is cut, and then tools are placed into the specified foam opening and held safely and neatly until needing to be used. The color choices of foam often feature bright, high-contrast colors to also quickly identify if a tool is present or missing within the toolbox. Another tactic that can assist with tool organization is the use of tool outline vinyl. Tool outline vinyl is different than toolbox foam in that it allows for the organization of hanging tools. Using this method, tools are traced in reverse onto the vinyl, the vinyl is cut and applied to the tool pegboard or other tool holding surface, and then the tool is placed or hung right in front of the vinyl outline. This is a helpful tool control practice because all it takes is a quick glance at the tool wall to see exactly which tools are there and accounted for and which tools are missing. When it comes to the topic of tool organization, it is important to remember that proper placement of tools is essential for enhanced productivity and optimal performance. 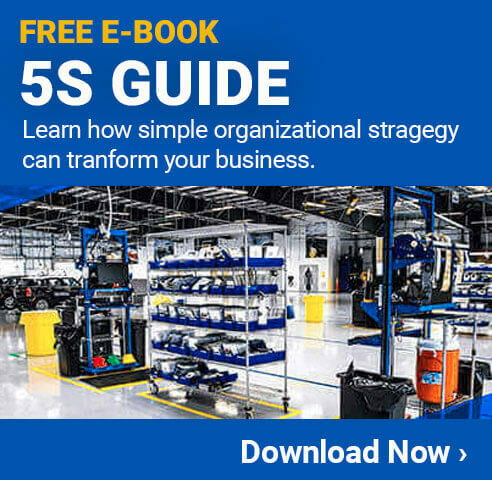 Just as the U.S. Marine Corps have implemented a tool control program to support the need and desire for organization, you can too and the results will be well worth the effort of implementation.